Timeless design that blends in elegantly in any home – the Focus faucet range from Hansgrohe is characterized by clear, flat shapes. It is the ideal choice for all customers who appreciate great freedom of movement in their daily routine. With the Focus range, the space in the bathroom can be used for personal wishes – whether for wet shaving or filling a vase. And all this at a price that remains surprisingly low. Focus faucets are economical and environmentally friendly, with the automatic water volume limitation to 1.5 GPM with EcoRight technology. 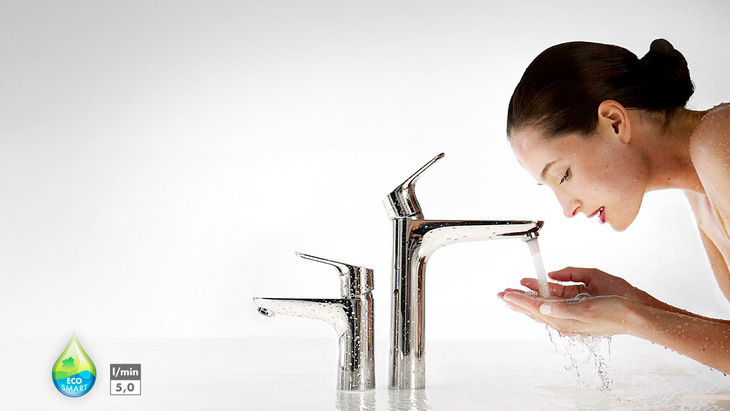 The modern Focus single-hole faucets are available in three different heights, different versions and also as an widespread faucet. Surface-mounted and concealed versions are both available. Here you can find bathtub and shower faucets from the modern Focus collection at Hansgrohe. Your customers can then bathe and shower in perfect comfort – whether as a surface-mounted or concealed version.